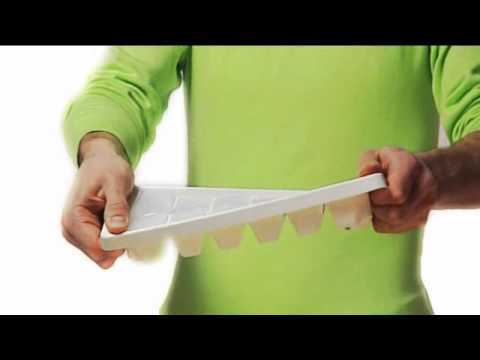 Releasing ice cubes from their trays is notoriously difficult - but now there's QuickSnap. 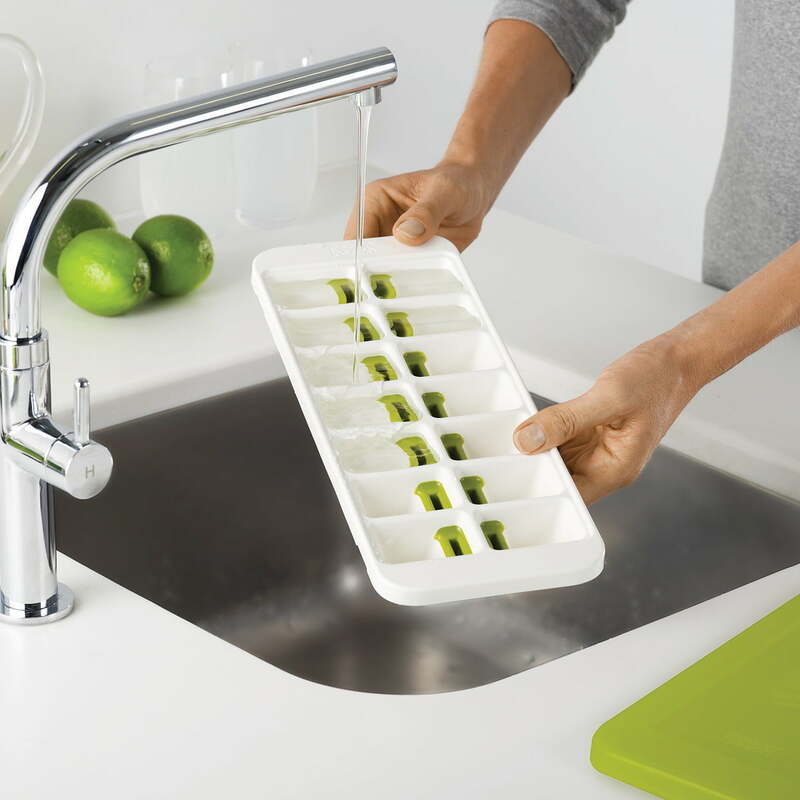 Similar in style to a conventional ice tray, it has a unique switch mechanism, which holds the ice cubes securely in place until required. 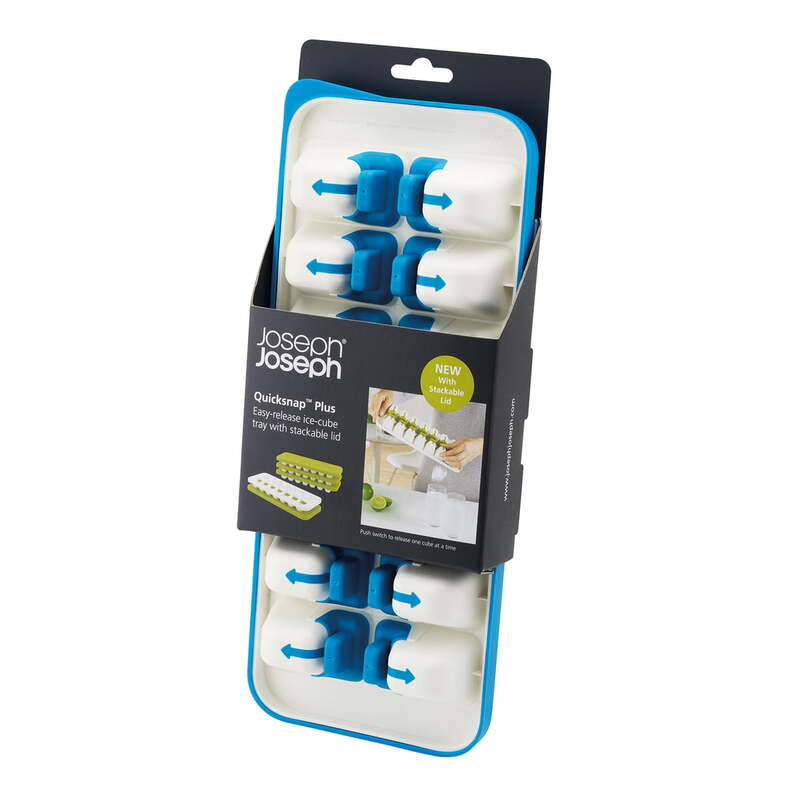 Fill Joseph Joseph's QuickSnap with water just like a conventional ice tray. 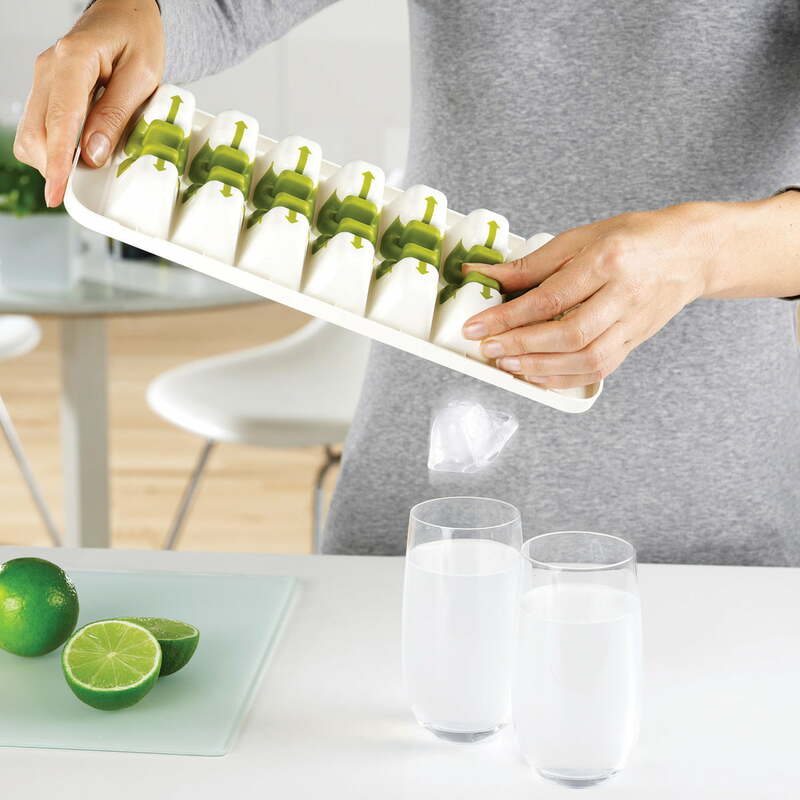 When ice is needed, simply twist the tray to loosen the cubes and then push each switch on the reverse, in the direction of the arrow, to release one ice cube at a time – effectively snapping each out of its individual compartment.The small handles have to be turned to the painted arrow so that Quicksnap releases the desired ice cubes, falling safely inside of the desired glass. With QuickSnap you only release the amount of ice cubes you really need, whilst the rest remain secure in the tray and can be placed back in the freezer. Also perfect for serving ice straight into drinks, without touching the cubes. 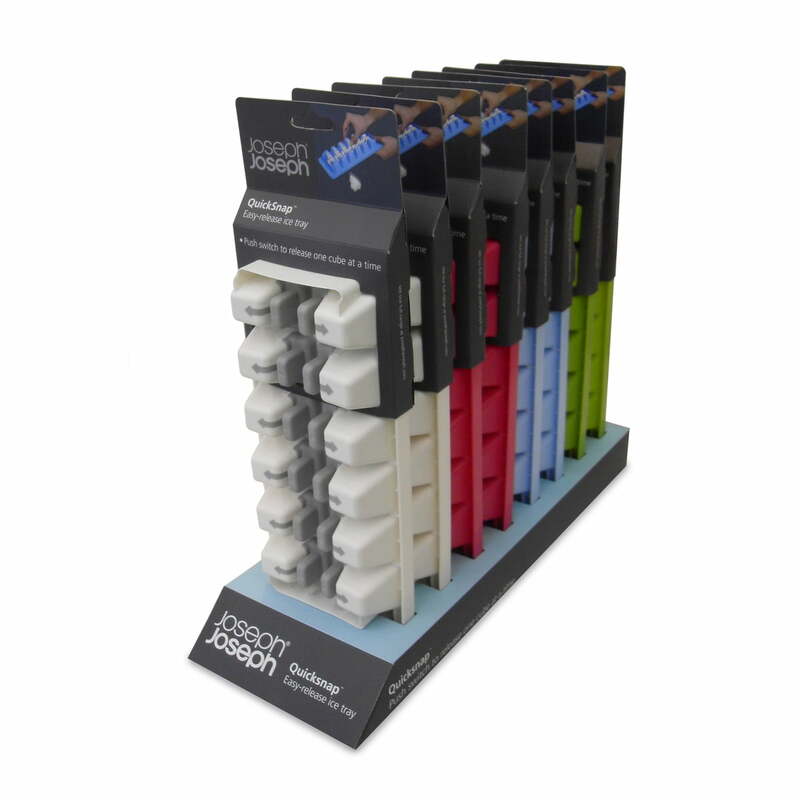 The Quicksnap ice cube tray by Joseph Joseph is also available in white. 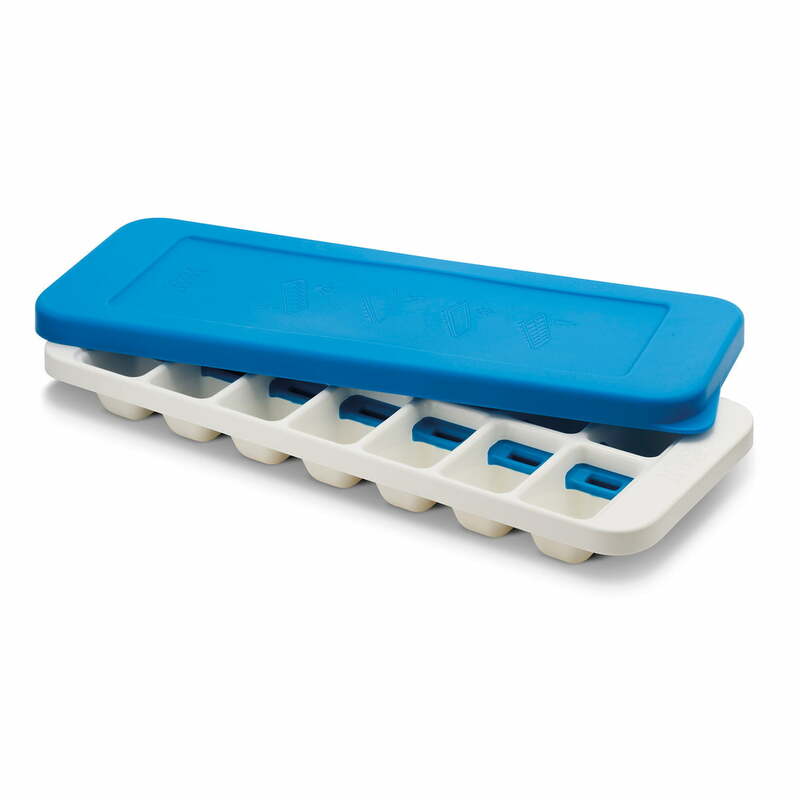 Individual image of the QuickSnap Ice Cube tray in blue and white by the British manufacturer Jospeh Joseph. 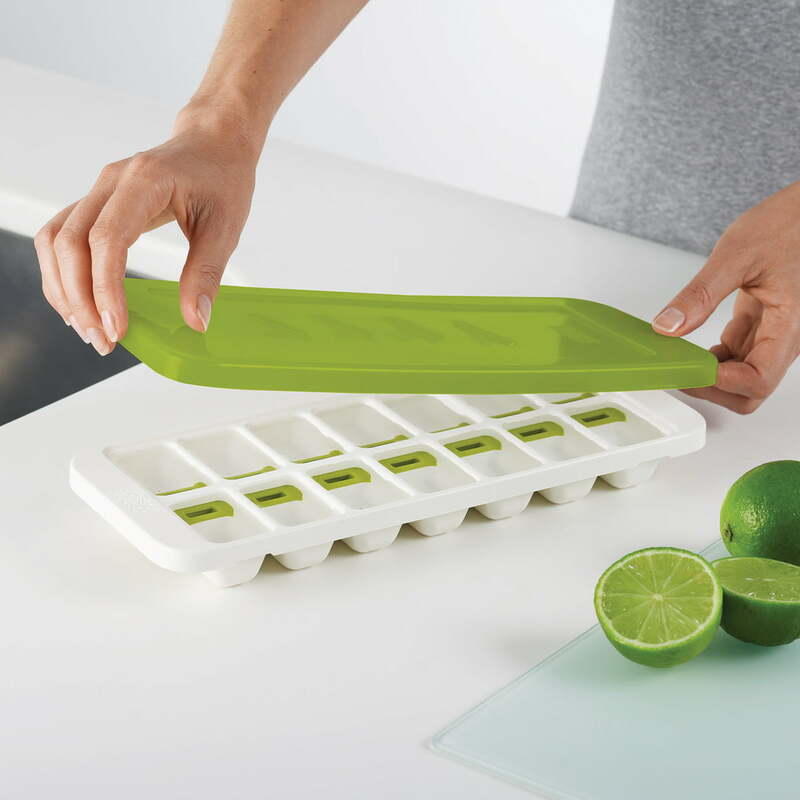 A handy tray to produce cooling ice cubes for your drinks. 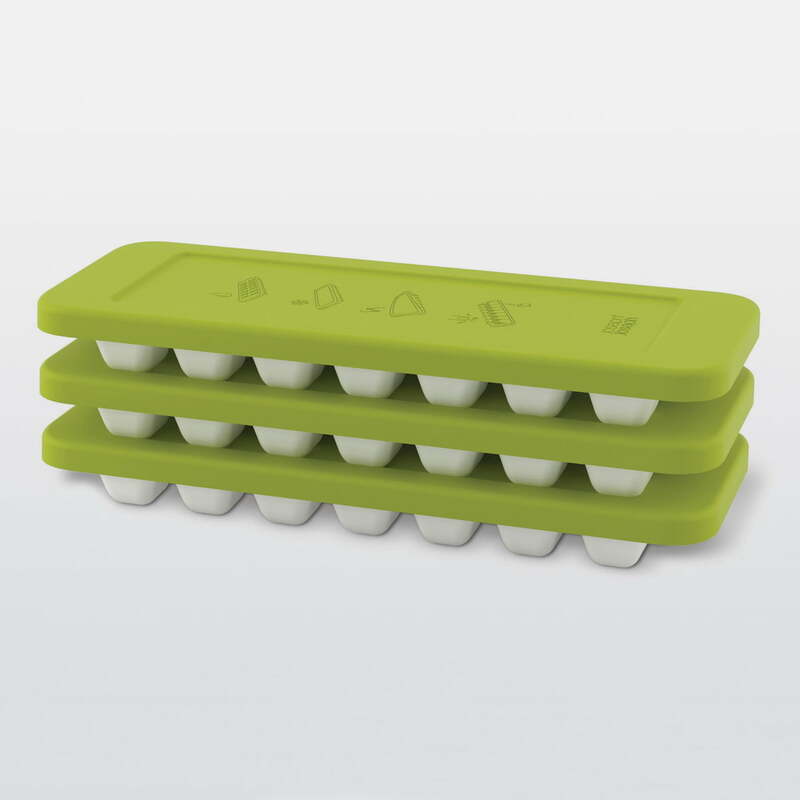 Group picture of three stackable QuickSnap Ice Cube trays in green and white by the British manufacturer Jospeh Joseph. 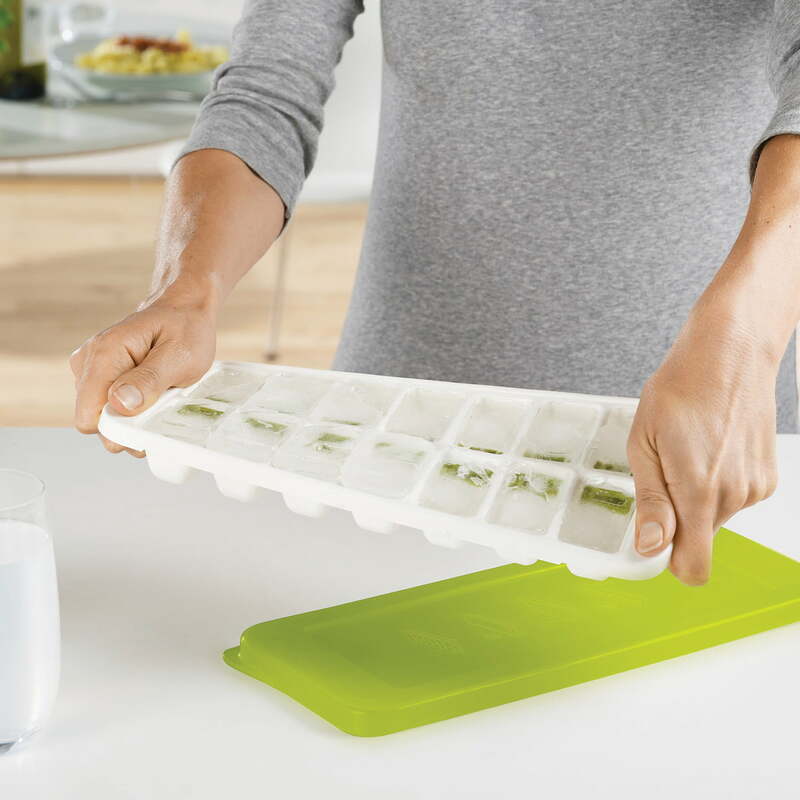 A handy tray to produce cooling ice cubes for your drinks.